Can you relate to this? There’s a man in your life – maybe a husband, father, or son – who’s constantly tinkering around outside and working on projects. Whether he’s fixing up an old car, making a treehouse for his son, or trimming the hedges, this man is a Do-It-Yourself master who loves working with his hands. Other signs of the construction enthusiast: he tracks sawdust throughout the house and may leave behind a steady supply of tools wherever he goes. 1. A Top Saw Pocket Multi-Wrench With Case – This versatile tool may not be the most common one on the list, but once you have it, it’s indispensible. It’s a bit like the Swiss Army knife of chainsaw repair; it includes eight tools to fix most popular chainsaws and cut-off saws, including Stihl, Husqvarna, Makita, Wacker, Jonsered, Partner, Poulan, Echo, and more. From sockets to Allen wrenches, this multi-purpose tool is the one you’ll want around for a tune-up. And it all fits into a compact, stocking-friendly carrying case! 2. An Eight-Piece Screwdriver Set – We know, screwdrivers are ubiquitous and your gift recipient is likely to have many. That said, they are also one of the most easily misplaced items around; and there’s nothing more frustrating than needing a Phillips Head only to learn that you can only find your Flat Head. 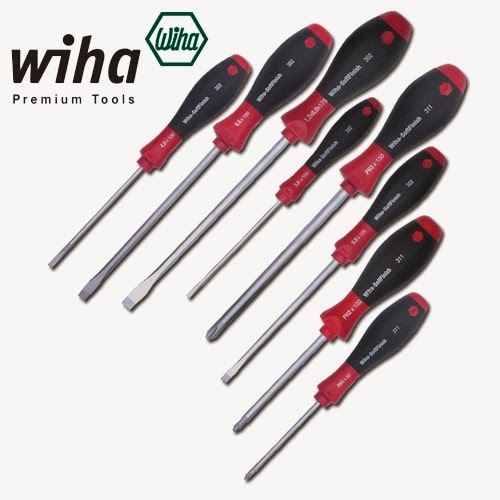 Keep him in stock with these professional, cushion-grip screwdrivers. They feature hard chrome that resists corrosion and wear, yet provide one of the most comfortable grips around. It’s guaranteed to please when only that precise screwdriver will do. 3. A Gasoline Engine Compression Tester – Just like taking a car in for regular oil changes and engine checks, there are many things you can do to extend the life of a chainsaw engine. One of the best things you can do for a small engine is check its cylinder pressure regularly to ensure there are no leakage issues. This will extend the life of your small engine while providing maximum fuel efficiency. It’s particularly beneficial to perform this test if you notice an engine is running roughly or frequently losing power. The Compression Tester works for testing chainsaws, cut-off saws, lawn mowers, and other small engines. 4. Star Tron Enzyme Fuel Treatment – Sure, it may not seem like the most exciting gift, but this powerful fuel additive will definitely be one of the most appreciated. It uses enzyme technology to enhance the performance of nearly any engine: cars, boats, trucks, chainsaw, lawnmowers, generators, and even oil-burning furnaces. Not only does Star Tron stabilize gas; it also prevents a number of ethanol and fuel problems like phase separation and fuel gelling. Check out our video for more information on this product. Pair any of these items with a six-pack of your man’s favorite IPA or Pilsner, and you’re guaranteed to show up with a winning gift this year!